Experience the wild beauty of the Portuguese Coastal Camino with CaminoWays.com, the walking and cycling holiday specialists. This exciting 12 day trip is one of CaminoWays.com’s newest routes and allows walkers to take in some incredible marine views, while also getting the chance to taste delicious local food and wine and even go for a swim in one of the many sandy beaches. 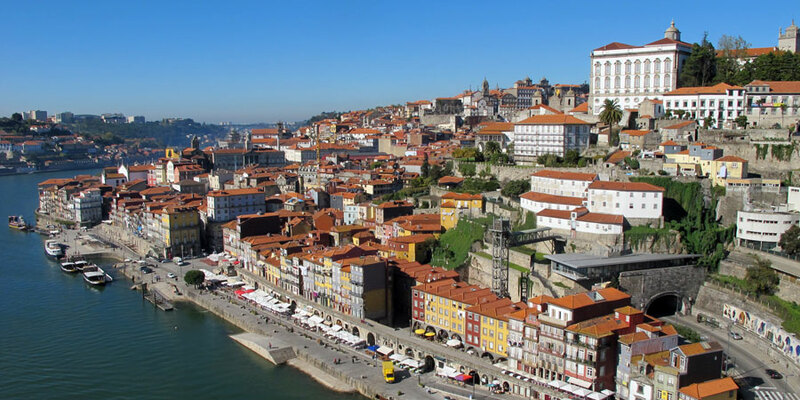 The route begins in the vibrant city of Porto in Portugal, famous for its UNESCO-listed river front, delicious Douro and Port wines and exciting mid-Summer festival of Saint John. The path then travels north along the Atlantic shoreline through picturesque seaside towns and fishing villages such as Vila do Conde, Póvoa de Varzim and Viana do Castelo; as well as coastal areas of outstanding natural beauty. From the town of Caminha, walkers will catch a ferry across the River Minho to reach A Guarda in Galicia, in the heart of the Rías Baixas. Famed for its Albariño white wine and incredible seafood, the Rías Baixas is also home to idyllic beaches, beautiful rugged landscapes and interesting towns such as A Guarda. While here, walkers should take time off to visit the ancient Celtic village of Santa Tecla, perched on top of the hill, enjoying stunning panoramic views of the ocean, Galicia and Portugal. Following some time in A Guarda, walkers will stay in the elegant seaside town of Baoina before continuing along the coast to the cosmopolitan city of Vigo. Known as ‘The Gateway to the Atlantic’, Vigo city is the perfect spot to take a day off. Walkers are highly recommended to take a day trip to the beautiful Cíes Islands, part of the Atlantic Islands Natural Park, a protected area of outstanding beauty and authentic paradise in Vigo Bay. Next, the route passes through the pretty fishing village of Arcade, where visitors can sample the town’s famous oysters. Then, walkers should visit the exquisite ‘Pilgrim Virgin’ chapel and explore the elegant city of Pontevedra before finally heading inland to Santiago de Compostela. Enjoy this ultimate coastal Camino route with CaminoWays.com from just €1365pp. Click for more information on the Portuguese Coastal Way. Price includes: Luggage transfer, accommodation on a half-board basis and holiday pack. Price does not include: Flights or insurance. Also available: Hotel upgrades and ‘parador’ accommodation in some town ask the CaminoWays.com team for more information. Book 2 months in advance to receive 5 % off! Start planning your Camino trip today by logging onto caminoways.com or calling +353 (0)1 525 2886 ; +353 (0)1 525 2886. I am finding it difficult to get maps for the route from Baiona to Santiago any ideas? We live in Ireland We would like to do the Portugal way in two stages doing the first stage from Porto from 25 to 30 May 2014. I have walked a lot of traditional Camino before. I would appreciate some idea of the distances to be walked each day and the facilities at the hotels along the way. Also if you could confirm that we can start on 25/05/2014 and finish on 30/05/2014 and that it will take just another 6days to finish the trip later this summer. You will recognise that I need full details prior to booking flights which I need to do very soon. is it posible to start from vigo, I travelled last year with you, but from Sarria, I am with a friend who as a limited time frame, we are doing the Camino in June this time and would require twin rooms at all stops, and could we bus or train, from Santiago, to Vigo to start, and fly in and out of Santiago.